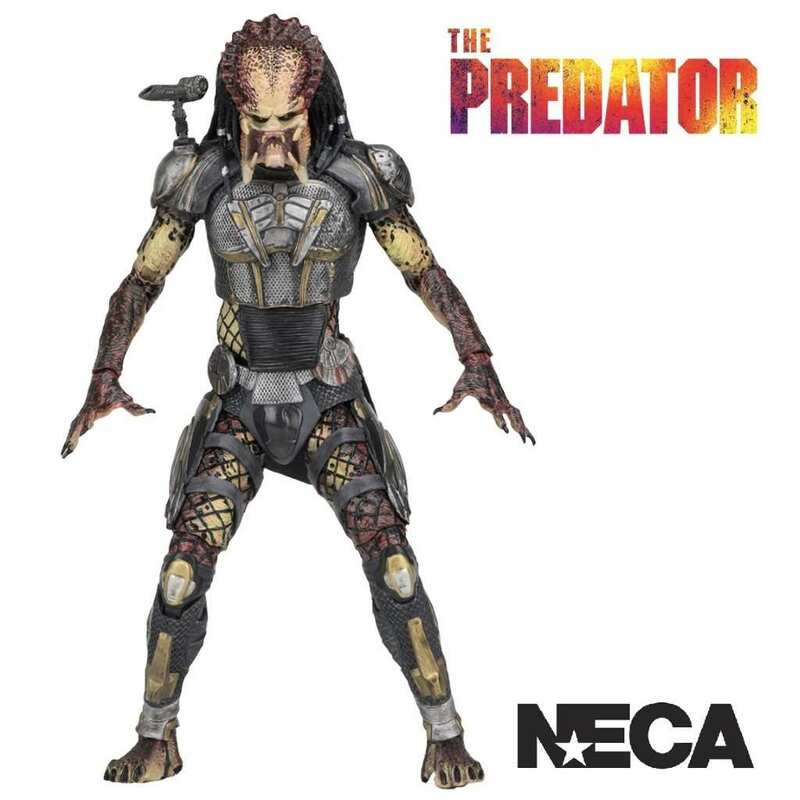 From the 2018 film The Predator, we present the 8" Ultimate Fugitive Predator from NECA. 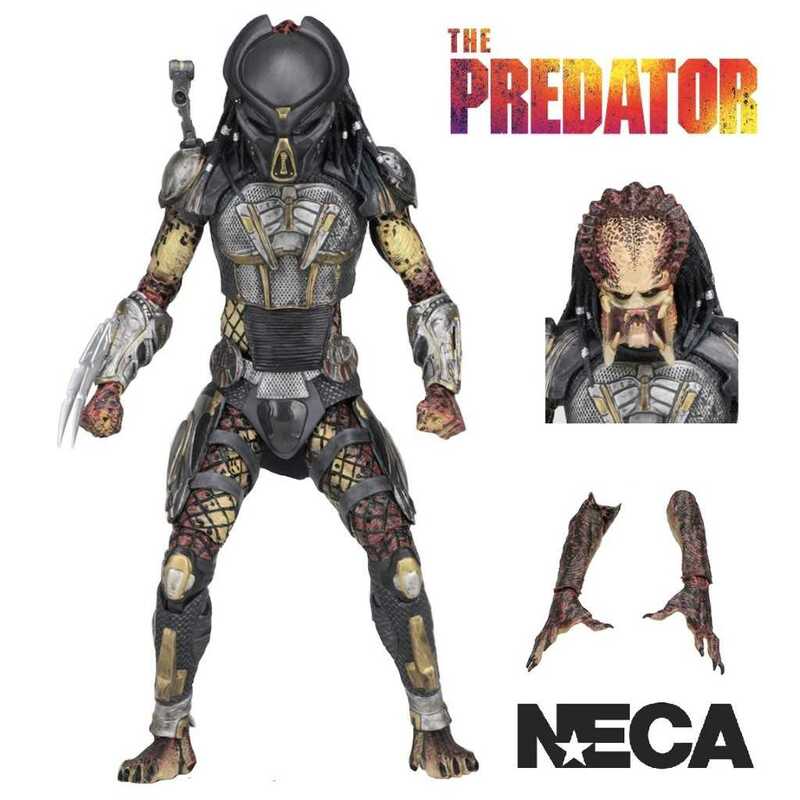 NECA brings you this Ultimate Fugitive Predator from the 2018 movie The Predator! 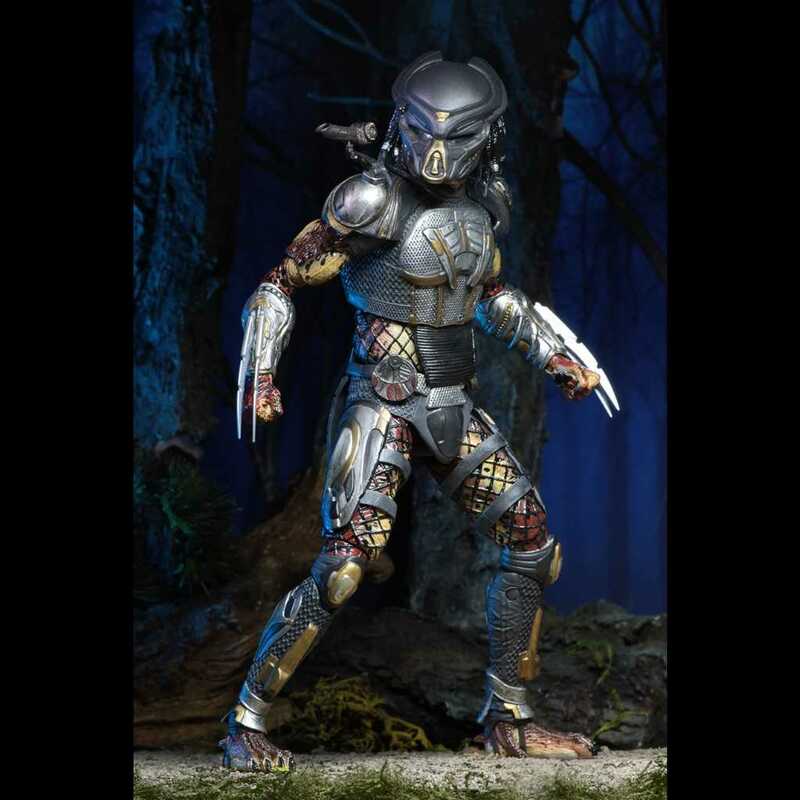 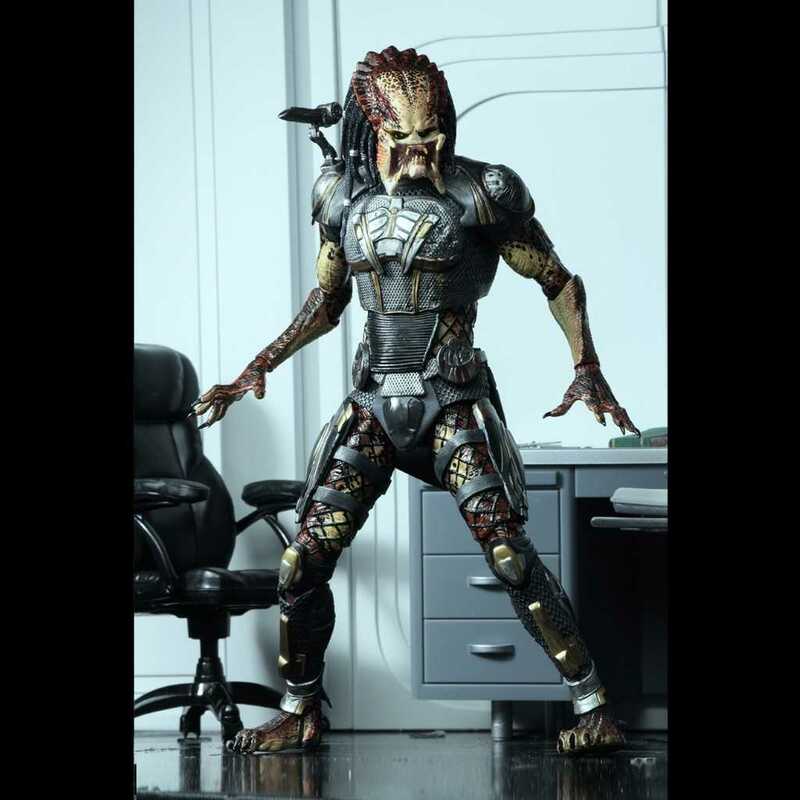 Standing over 8” tall, the Fugitive Predator features over 30 points of articulation and comes complete with 2 interchangeable heads (masked and unmasked), interchangeable forearms, 4 interchangeable hands, 4 wrist blades and an articulated shoulder cannon. 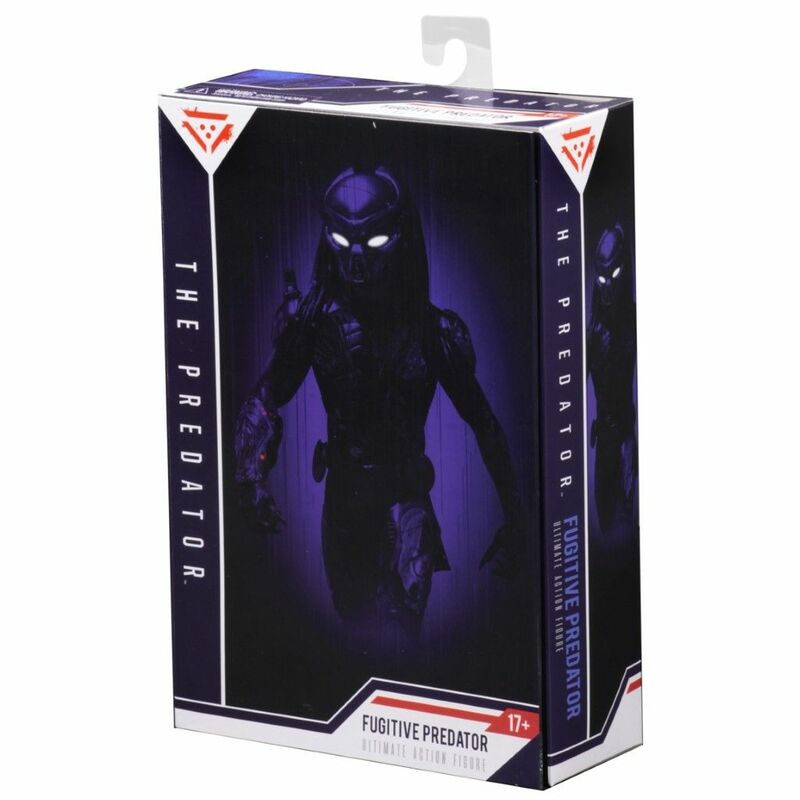 Comes packed in a deluxe 5 panel window box with Velcro closure.